Wooden Ball Blower Train is a multi-coloured train shaped blower which makes a little ball hover as if by magic. Each wooden ball blower comes with one Styrofoam ball. You place a ball on the blower, and blow gently into the wooden tube. The ball begins to float! The trick is to see how long you can make it stay there. 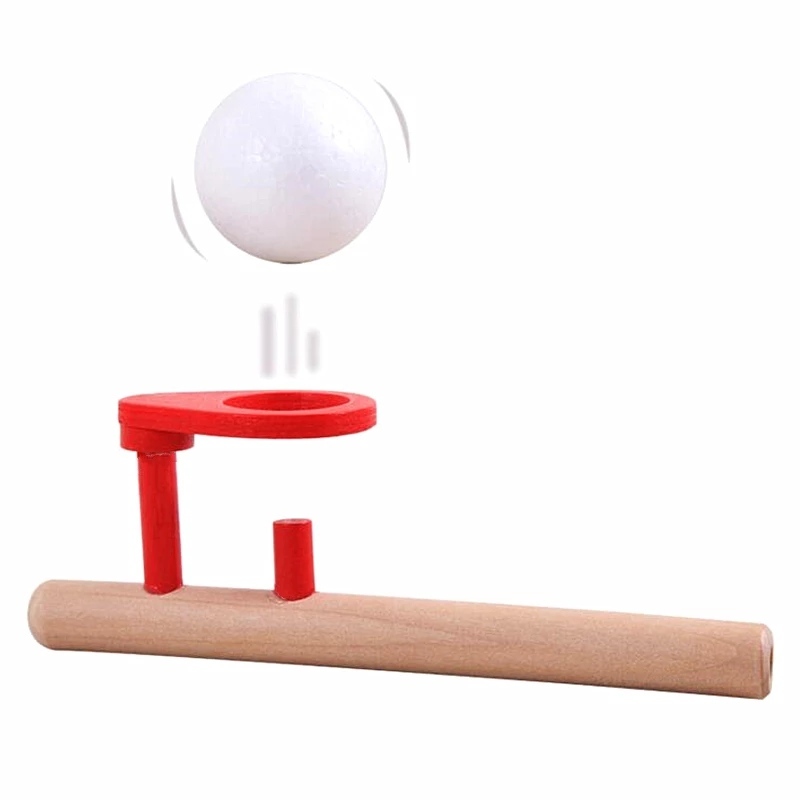 This little toy has a plastic cup which directs the air very precisely making the ball hover very well. Make sure you take a big breath. Size: Pipe is 10cm long, balls have a 4cm diameter. Material: Wood with Child Safe Paint. 1 Styrofoam balls. Plastic ball cup. We like this because: "The way the ball hovers in mid air appears to be magic.....really fun!"